How to reopen a denied claim for your home – Today’s guest blog is by Churchill Public Adjusters. The opinions expressed by the author in this and all guest blogs are not necessarily those of Ocala Restoration and Remodeling. If your home insurance is denied, it can also be a result of confusion from the insurance carrier. If you have read your coverage policy and know your rights that have been covered under the policy, you should bring this to the attention of your insurance adjuster. Contact your public adjuster to reopen denied claim and appeal for the coverage again. 2) Research for the reason why your claim was denied. 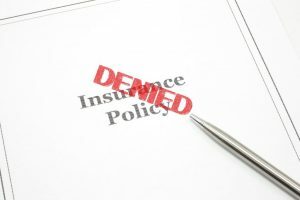 Once your claim is denied you will get a formal letter from your insurance carrier that explains the main cause of the denial of the insurance claim. You must not hesitate if you’re unable to understand the reason for rejection or if the cause given is vague. 3) Take images and document your damages. Most of the time, the claims are rejected due to insufficient proof of your damages. Take images of the losses from different angles and explain the accident including date, time or surrounding situation in a written file. Make sure to keep all the documents save and near that can help to verify your claim. 4) Demand an independent appraisal. If you are not satisfied with the assessment done by your insurance company regarding the value of your home or damages, you can get a second opinion by demanding for an independent appraisal. 5) Proof that you are a responsible homeowner. Most of the claims are rejected due to the fact that the damages are caused by property owner’s negligence. To appeal for the rejected claim again, you must have sufficient proofs that you prevented the losses to your property. You must file an appeal with your insurance carrier and request them to once again review your claim. Also, do this process within the appeal time including all the written documentation. If the insurance company is still denying your insurance claim, you must lodge a complaint with the insurance board of the state which will further inspect your rejected claim. 8) Search for a licensed adjuster. The states require the adjuster to be experienced and educated for practicing the profession the specific state. States also have directories online through which you can confirm the license of the adjuster. After searching for the licensed adjuster, contact the attorney who can assist you in determining the legal options and can present your denied claim in the court. Once you have involved a public adjuster in the claiming process, you must not take any stress, sit back and relax provide your adjuster all the documents and he will process your claim further.